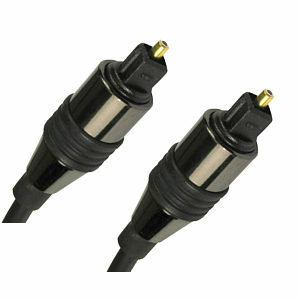 High quality optical lead, 3m, TOS plugs have an attractive black finish and gold plated inner pin. TOSLINK cables are commonly used for optical interconnect between devices such as DVD players and Home Cinema amplifiers, also suitable for PS2 etc. A single TOSLINK cable is capable of transporting a full multichannel digital audio stream such as Dolby Digital 5.1 or DTS. A high quality optical fibre lead with a standard TOSLink connector on each end. The TOSLink connector, originally developed by Toshiba has become the standard connector for optical digital audio connections. The TOSLink connectors feature metal bodies and have a gold plated tip around the end of the fibre. Techlink 680145 5m Component Cable, with OFC Cable and Gold Plated Contacts. High-end performance at an unbelievable price. Double shielded non-migratory Oxygen Free Copper conductors throughout. Individual Al-Mylar Aluminium foil shielded signal cables for improved picture. Flexible PVC outer jacket to bend and fit into the tightest of spaces. Laser etched chrome plated metal connectors. High quality 2x phono to 2x phono stereo audio cable. Metal body phono plugs with Gold Plated contacts. OFC cable with colour coded connectors. Ideal for stereo audio connections. High quality 5m car audio lead 2x RCA Phono to 2x RCA Phono. Metal body gold connectors with Gold Plated contacts. Fully shielded audio cable with transparent jacket. 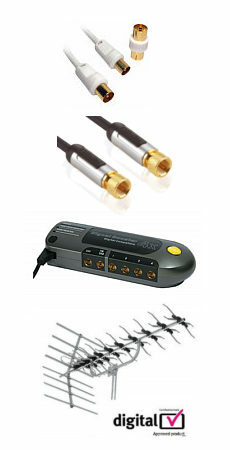 Ideal for stereo audio connections in cars, hi-fi or home cinema systems.